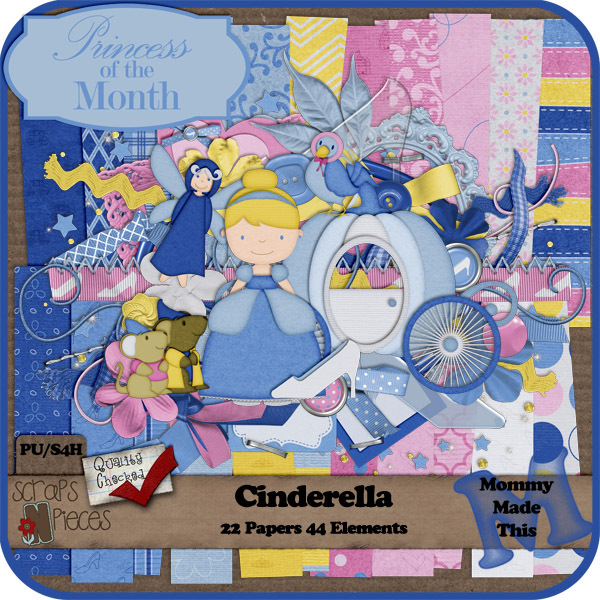 Here's the newest kit in the Princess of the Month series from Mommy Made This--Cinderella. 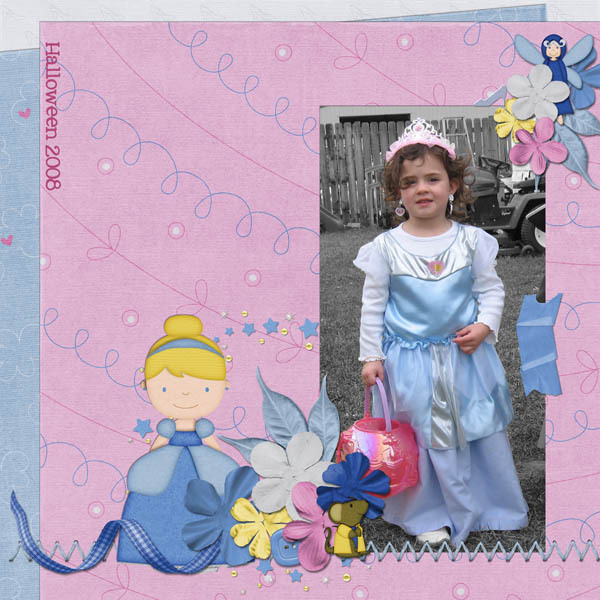 These little princesses are so adorable and I can't wait to see what will be next! 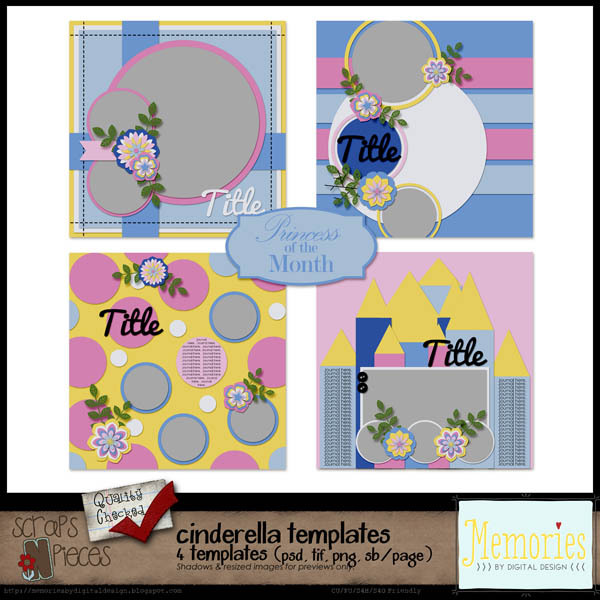 Click HERE to go to the Scraps N Pieces store to see the kit. Here's a layout I made with it. I have lots of ideas for this one, but I need to get some pictures taken to put on the pages...so (hopefully) I'll be back with more soon. I saved my cluster as a png for you to try out the kit. Download it HERE. Here's another photo I found to scrap--my baby is getting so big! He got this dress on all by himself (backwards, so he could zip it up.) 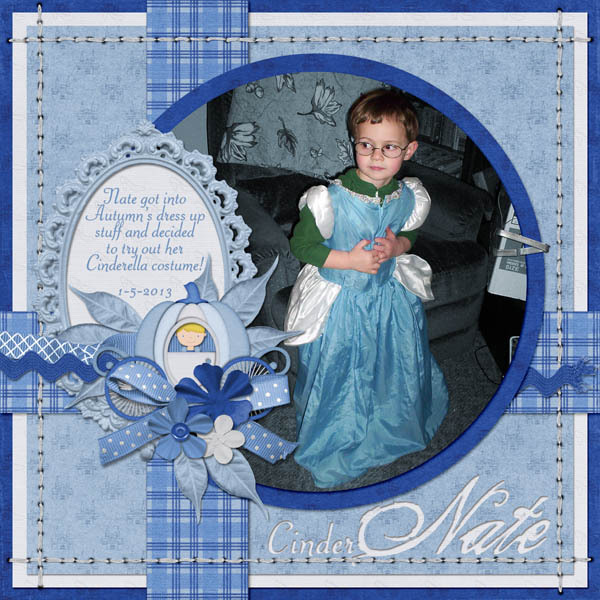 For this one I used the Princess of the Month--Cinderella templates from Memories by Digital Design. You can get them HERE. 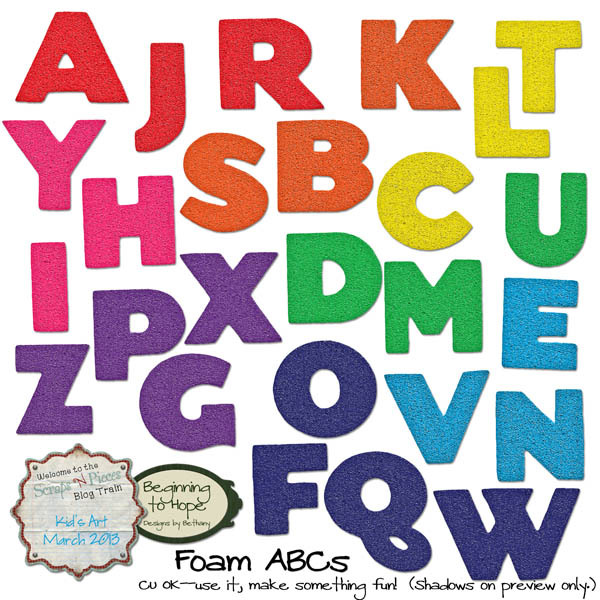 It seems like awhile since I "designed" anything, but I joined up on the blogtrain this month with a foam sticker alphabet. I wanted the foam texture to look real, but was very surprised at how much light the scanner left on the little holes. It came out looking like some weird kind of glitter. I worked on the lighting a bit and added a color overlay to smooth some of that out and it looks better--but not exactly what I wanted. Oh well, I learned a few things. Good news--my printer can scan at 1200! I'm going to try scanning the same stickers with some adjustments on the brightness and see if I can get that foam to look real...I'll let you know if it works out. Here's a tip--add a bevel to make your letters look "thicker." 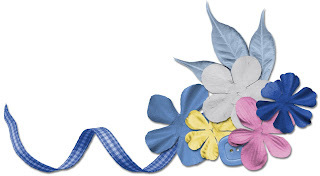 In Photoshop Elements 9, just choose your letter layer, click the Effects panel, drop down to Bevels, double-click on Simple Sharp Inner. Go back to your Layers panel, double-click the fx, set bevel at the level you like! See the difference? 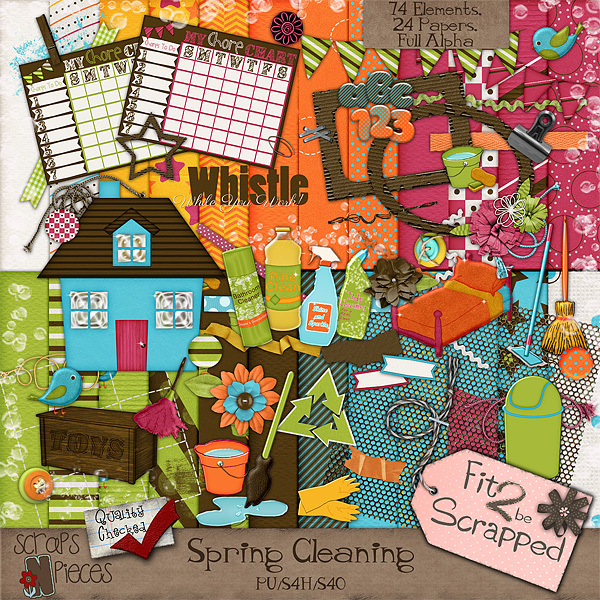 Here's a new kit with lots of fun elements and plenty of basics for your spring pages. 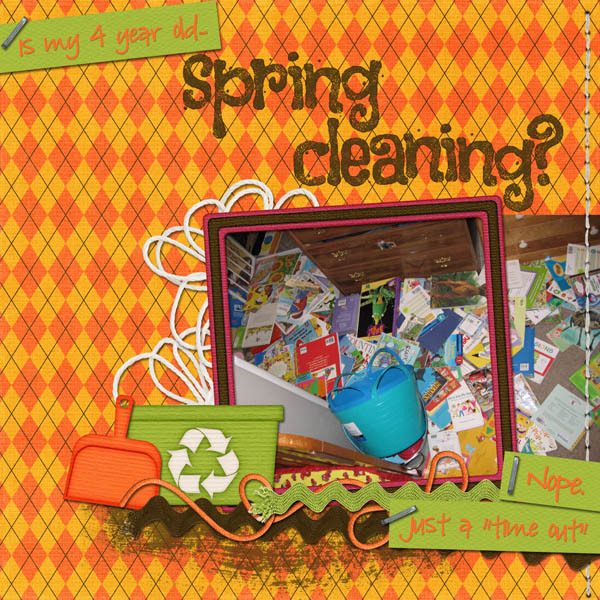 Spring Cleaning from Mommy Made This is a collaboration with Fit 2 Be Scrapped coming soon to Scraps N Pieces. 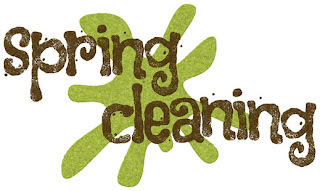 click HERE for a free wordart!